ATMs are available in many parts of Cairo - ensure you inform your bank before travelling abroad, and be aware you may be charged for cash withdrawals. 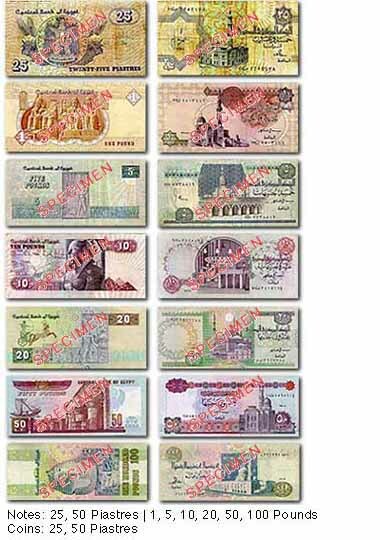 It is advisable to exchange some cash before arriving in Cairo. Visit the other Cairo city guide sections to get more detailed travel advice, and information on the best Cairo attractions and sightseeing activities, recommended shops and restaurants, as well as the best Cairo hotels. To avoid additional exchange rate charges, travellers are advised to take traveller's cheques in US Dollars, Euros or Pounds Sterling. Banking hours in Cairo are from Sunday to Thursday, 08:30 to 14:00.